The company’s flagship product is Jedox Suite, a flexible BI and CPM product with planning, reporting and analysis capabilities. The solution, which offers both an Excel client and web interface as front ends, was first launched in 2004. The Excel add-in is a classic spreadsheet interface combining well-known Excel functions with additional Jedox features. The web client has a browser-based spreadsheet interface – a type of Excel on the web – with additional functions. 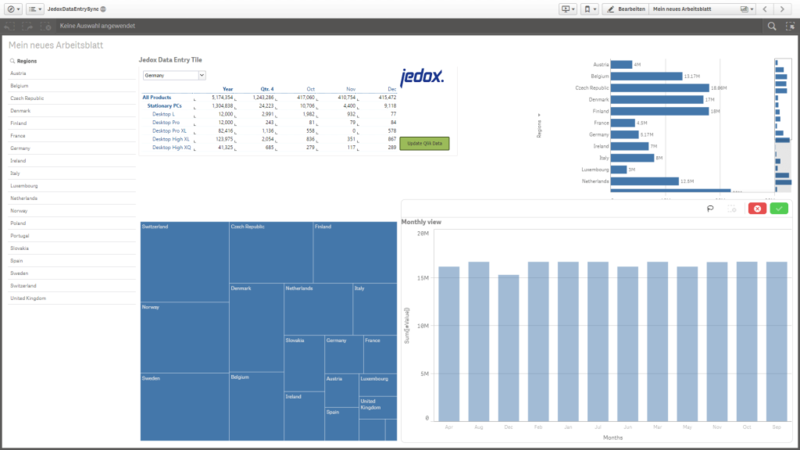 The underlying philosophy of Jedox Suite is to extend the familiar Excel environment with specific BI functionality. 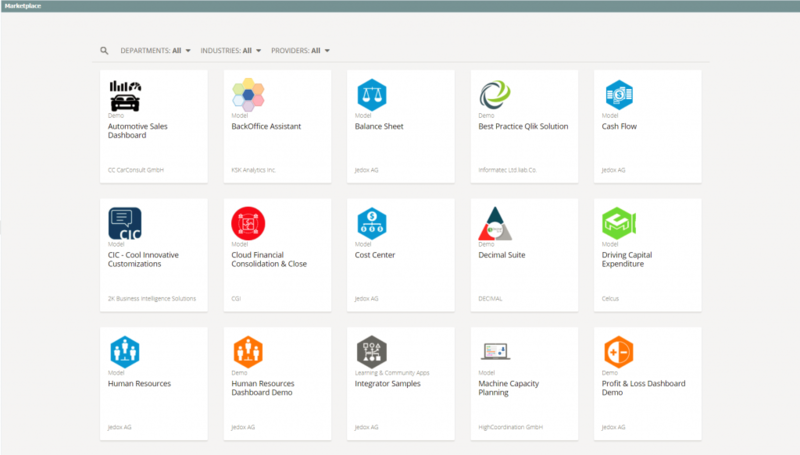 The product is aimed at business power users who create individual planning, reporting and analysis applications with the company’s own flexible multidimensional in-memory database in a familiar spreadsheet environment. However, tasks such as integrating data into Jedox OLAP Server using the vendor’s web-based Jedox Integrator product may require IT support. Trained business users can later take on responsibility for the administration and further development of Jedox applications. These applications can be published to large groups of users through Jedox Web and Jedox Mobile. Both centralized top-down and decentralized bottom-up planning scenarios can be implemented with Jedox. Generally classified as a development environment, in its latest versions Jedox now provides predefined planning models created itself or by partners (e.g. for balance sheet, P&L, cost center, sales and HR planning) via its own marketplace, which is integrated in Jedox Suite. 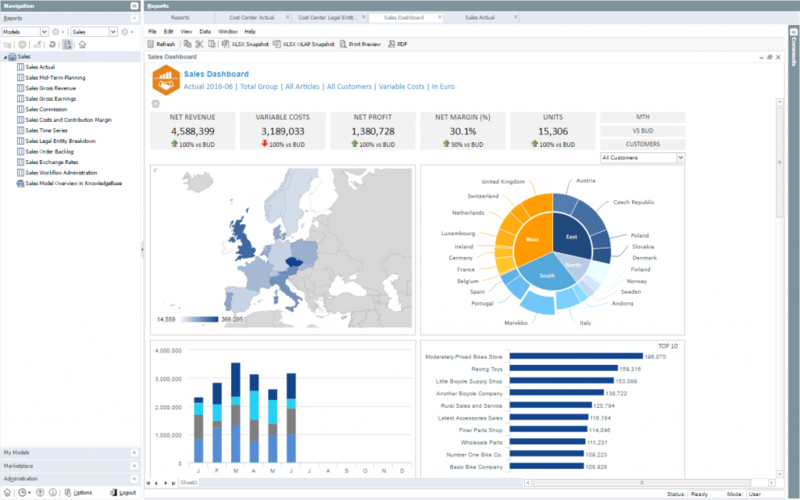 Jedox offers good ad hoc reporting and OLAP analysis functionality for end users. 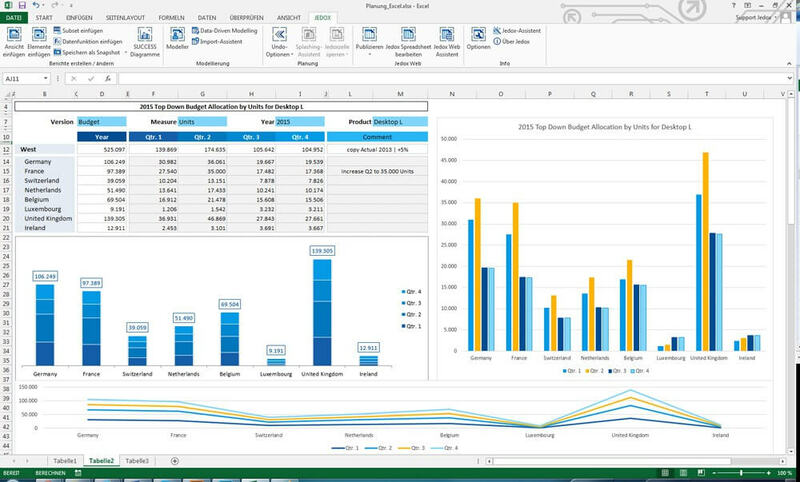 Reporting generally takes place in Excel using native Excel functionality, or in Jedox Web, which offers additional capabilities for dynamic reporting and report distribution. 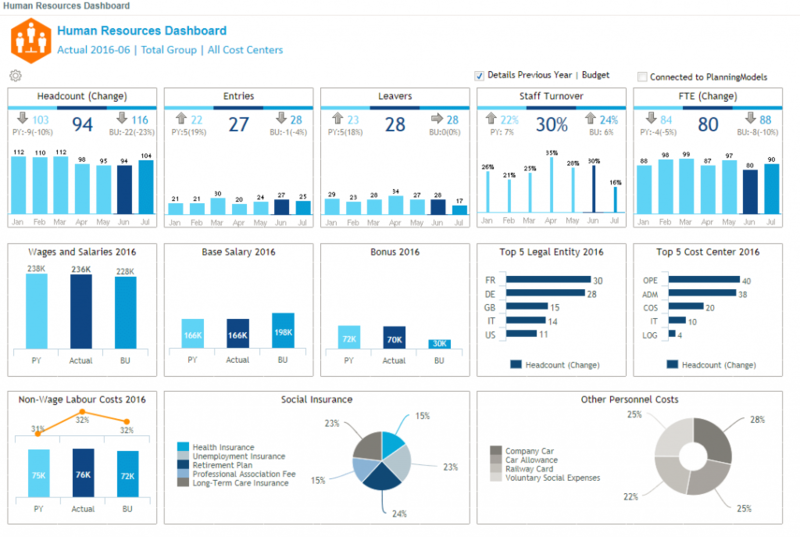 Users can create reports, analyses and dashboards on the web from a spreadsheet interface closely resembling the functionality, look and feel of Excel. Both clients offer standard Excel charts for visualizing information as well as SUCCESS charts, which are compliant with the International Business Communication Standards (HICHERT®IBCS) for reporting. Besides planning, customers mainly use Jedox for ad hoc query and reporting, standard/enterprise reporting and basic data analysis. 49 percent of respondents plan to use it for advanced analysis in the future. Jedox targets mid-sized companies and large corporations across all industries. 59 percent of our sample of Jedox customers come from mid-sized companies (100-2,500 employees) with a median of 30 users (with 15 of them using planning functionality), but the mean of 111 users (27 for planning) indicates there are also some larger implementations. 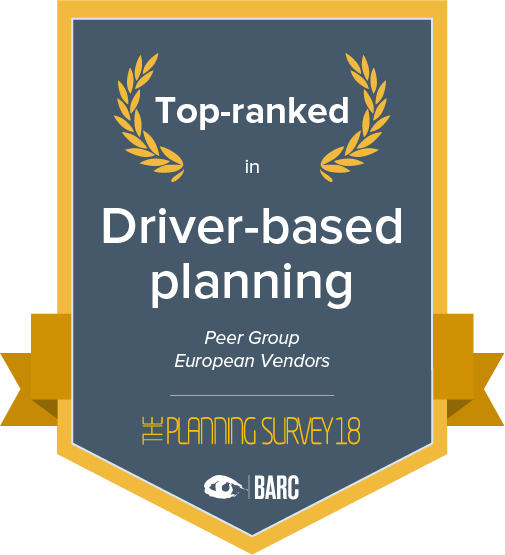 55 percent of Jedox users are planning users – just below the survey average of 62 percent – reflecting the fact that Jedox is essentially an integrated planning and BI tool. With 22 top ranks and 24 leading ranks, Jedox once again achieves great results in BARC’s Planning Survey. Excellent ratings in numerous important KPIs help to consolidate its position as a leading planning and CPM vendor. Companies can benefit from using Jedox Suite in terms of reduced resource requirements for planning, improved employee satisfaction, reduced planning complexity, improved integration of planning with reporting/analysis and improved integration of strategic and operational planning. 93 percent of respondents are ‘somewhat satisfied’ or ‘very satisfied’ with Jedox, being the main reason for its high recommendation rate of 92 percent. With its suite approach, Jedox offers considerable flexibility to users wanting to address various planning and CPM use cases on one integrated platform. 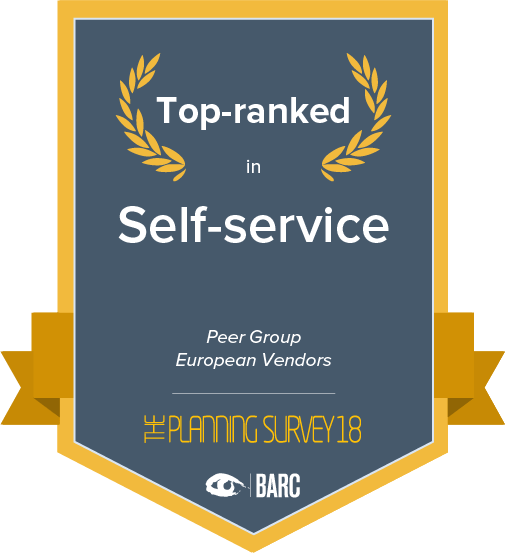 BARC’s Vendor Performance Summary contains an overview of The Planning Survey results based on feedback from Jedox Suite users, accompanied by expert analyst commentary. Companies can benefit from using Jedox Suite in terms of reduced resource requirements for planning, improved employee satisfaction, reduced planning complexity, improved integration of planning with reporting/analysis and improved integration of strategic and operational planning. Jedox comes top for ‘Project success’ in the ‘BI-focused Products’ peer group. Using Jedox’s Excel-based development environment, customers have the flexibility to use the product for many different use cases such as planning, reporting, analysis and dashboarding. Moreover, Jedox’s experienced consulting team should also take some credit for this excellent result as the level of support they provide is highly rated by customers. Business value’ combines the ‘Business benefits’, ‘Project success’ and ‘Project length’ KPIs. With strong results in all of these KPIs, Jedox also achieves top rankings for ‘Business value’ in all of its peer groups. These results prove that Jedox creates real business value for customers. 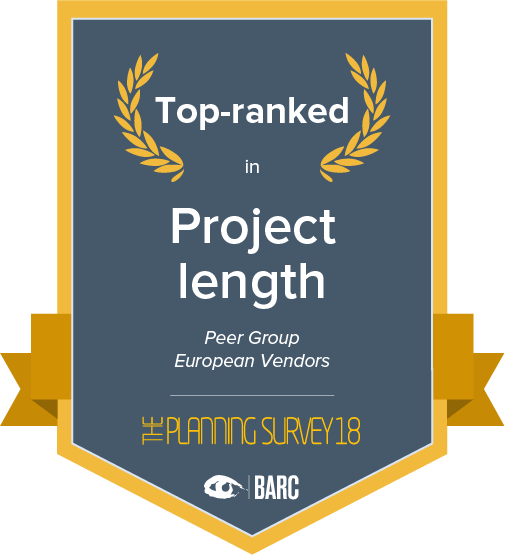 Satisfaction with the vendor and product – as well as the business value the product creates, the speed of implementation projects, good performance and ease of use – contribute to Jedox achieving top ranks in two of its peer groups. Customers report very few problems with the product. Jedox Suite’s underlying philosophy to extend the familiar Excel environment with specific planning and CPM functionality seems to convince and satisfy customers. Many customers clearly appreciate the functionality and ease of use the Excel add-in and web client provide and often do self-service planning in business departments with Jedox.